As legend goes the monks got the right to make beer from the Pope. Being an Italian the Pope never drank beer. Once beer was delivered for Pope’s tasting to Rome from Germany, being on the way it went bad, not being pasteurized. When the Pope tried “the new product”, he spat it out saying “if they want to drink this cram - I do not mind!” The monks were very satisfied with such an answer. During the tasting we will tell you about the history and traditions of beer making. You will get acquainted with the best sorts of Estonian common and craft beer. 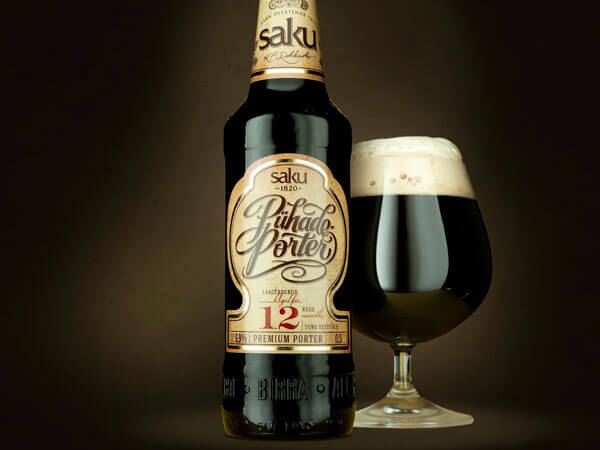 Saku Hele – the only Estonian beer which can be easily compared with the best sorts of Czech beer because it was created in cooperation with the best beer masters from Czech Republic. Põhjala - the most famous craft brewery in Estonia. It’s selection is over 10 sorts and half of them are seasonal. Dominant sorts are dark beers and porters. Õllenaut - founded in the Summer of 2013 but already gained a good reputation among craft beer lovers. Located in Tallinn’s suburb - Saue. This brewery has over 10 sorts and growing. Vormsi Õlu - islander’s beer first made in the village of Norby on Vormsi island, the village has a population of 11 people. For ease of transport the brewery is moved to the mainland. They make 4 kinds of beer - Vormsi hele õlu, Tõmmu õlu, Märtsiõlu and Eripruul.